Attention, budding businesspeople with ideas about how to change the way we manage energy at home: GE’s Ecomagination initiative will soon be open to you. 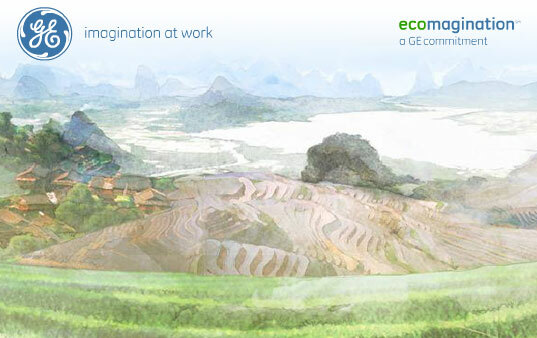 Attention, budding businesspeople with ideas to change the way we manage energy at home: GE’s Ecomagination initiative is opening up to you. The corporate giant is doing it with the “Powering Your Home” Challenge, a contest that invites entrants to design the green home of the future–and pick up some of the $200 million that GE has earmarked for the Ecomagination challenges along the way. In the first phase of GE’s Ecomagination Challenge, the company asked entrepreneurs to come up with novel ways to revamp the aging power grid. The crowdsourced contest yielded over 4,000 ideas as well as winners like Solar Roadways and Clarian Power’s plug-n-play solar, both of which received tens of thousands of dollars from GE. Now GE is asking participants to shift their focus to energy-saving technology for the home. Why? through the lens of innovative power use in the home. We have wavering faith in the initiative’s ability to push the most practical innovations to the top, however. Solar Roadways, one the last round’s winners, produces roadway panels that recharges electric cars as they drive–a clever idea, to be sure, but one that would require more investment than most municipalities can afford. distribution, development, and growth opportunities from the company.